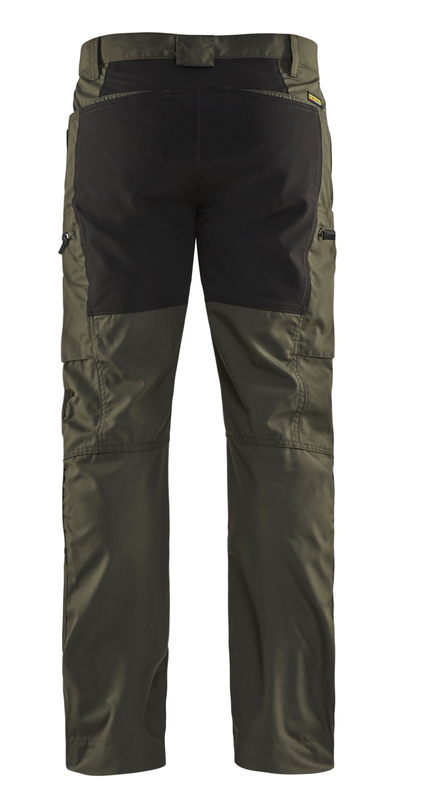 Modern service trouser in a light but durable material with fast drying features - which makes the trousers ideal for work indoors, or outdoors in warm weather. The model has narrower fit and pre-curved knees for increased comfort. For optimal ability to move, the trousers have stretch panels in carefully selected places, such as the bottom, knees and in the crotch. The trousers have a pen and knife pocket adapted for the right- and left-handed, a leg pocket with an inside pocket in mesh for the mobile phone, as well as the extension option at the leg hem.